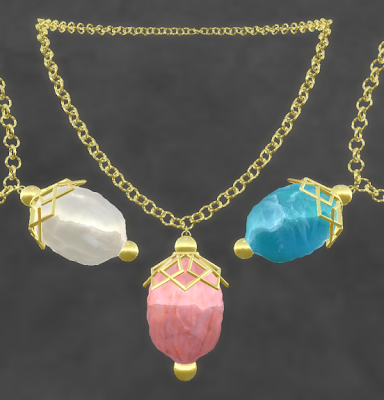 The Charmed Melody Necklaces & Earrings have been updated and they are on sale this week at ELEMENTAL JEWELRY! Charmed Melody 1 is a gold set with texture changing beads in Jade, Red Coral, & Lapis Lazuli. Charmed Melody 2 is also gold with texture changing beads in Rose Quartz, White Onyx, and Cyrosocolla. They are in the LOW Sale this weekend and are priced at L$45 for either necklace or earrings. Also in the LOW Sale this weekend is the Celtic Charm Necklace & Earrings shown in the last blog post. The necklace & earrings are priced at L$75 each--a steal for a lovely set of jewelry. And...For the 60L Weekend Sale, the Arctic Chill Necklace & Earrings are on sale for $L60 each. 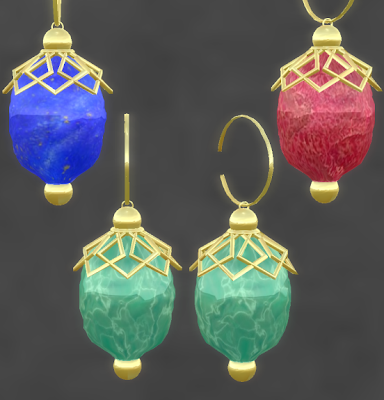 And there is a new Group Gift that is free for ELEMENTAL JEWELRY GROUP members! 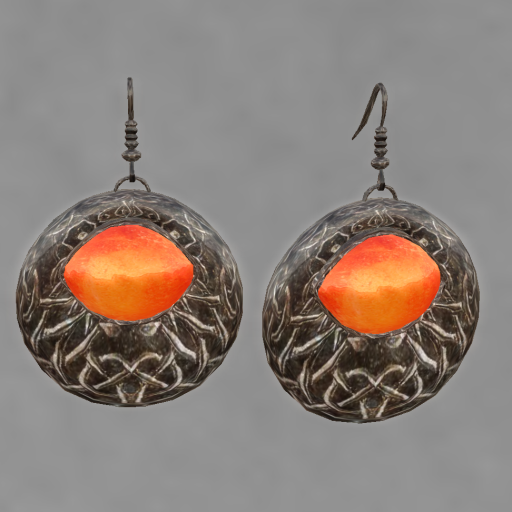 These earrings are just right for your Halloween festivities, and they match the hunt gift for the Bangles, Bobbles, & Bones Hunt.